Have you ever felt that your film doesn’t fit the one-hero chronological model? Have you ever wanted to use flashbacks, time jumps, multiple story lines or ensemble casts? Audiences love non-linear and multiple-storyline films and TV. It’s impossible to watch a night’s TV without coming across them, and mainstream films use them all the time. Clearly, they are the way of the future. But how do we write them? Are there rules? Patterns? Are there templates to guide us? More than two decades ago, as a writer alternating between writing for TV, theatre and stage, I found conventional screenwriting theory very helpful indeed for stories about one hero on a chronological journey. It was and is brilliant for that. However, I was puzzled. I was making my living writing multiplot stage plays and TV series episodes, but as far as could tell from what I read and heard, the conventional screenwriting wisdom assumed all stories were about this one hero on a chronological journey. I couldn’t find anything substantive about the nuts and bolts of any other kind of story structure. What I wanted to know – probably just as you do – was, quite simply, a) how to write flashback films without falling on my face and b) how to push my group stories skills further. Since I couldn’t find any answers, when I was asked to write a screenwriting book I had a crack at the topic myself, watching and rewatching and rewatching films to see how they worked. Surprisingly, I found that these complicated films actually drop into six family types, with in all more than twenty subcategories, although clever writers are constantly pushing the boundaries and producing hybrid forms like Eternal Sunshine of the Spotless Mind, so probably the number of types will increase. These films all use patterns based on multiplying (and sometimes fracturing and reassembling) a group of short three-act structures in very specific ways (sometimes almost entirely removing the second act). This means we have templates to help plan our stories. Easy? No. Doable? Yes – with planning and care. All kinds of wonderful storytelling opportunities spread out before us – as long as we hasten slowly and understand the practical mechanics of the linear three act structure. Plan, plan, plan and plan some more. There are a lot of ways to fall on your face in these forms. Proceed with caution. There are nine main types of flashback, some simple, some complex. The simplest kind is when the detective asks, ‘Where were you on the night of the crime?’ and we flashback to see a little bit of backstory before the movie continues. But films that jump back and forth between one story in the past and one in the present need a different approach. In a nutshell, with these, you construct your two stories like concentric circles (each circle being a different story in a different time frame), link the stories at one special scene, and jump between the past and present stories on specific cliffhangers. The different forms will normally start at either the second act turning point or the climax. You have to switch protagonists between time frames. The same character may be a protagonist in one time frame and an antagonist in the other. It sounds mind-bending, but once you get the hang of it, it’s predictable. You’ll see that everything fits into place. In this form, equally-weighted, self-contained stories follow one after the other and join together at the end. These stories are sometimes linear but often fractured. In addition to fractured forms, there are three subcategories to this form, all constructed in different ways. I call the most interesting structure the ‘portmanteau’, because it works like a bag. It uses one story to contain the others, like a bag or suitcase. Pulp Fiction is a good example. Put very simply, portmanteau films usually open just before the second act turning point of the ‘portmanteau’ story, jump back to the disturbance (or catalyst), leave just before it gets to the first act turning point, and then stop. The other stories are inserted into this framework. Once the other stories have been told, the film returns to the first act turning point of the portmanteau story and follows it to the end. The film doesn’t lose pace or splinter into an anthology because it piggybacks on the rise to closure of the portmanteau story. Again, the possibilities are amazing. These films, often known as ‘ensemble’ films, are all about groups either on missions or in reunions or physical or emotional sieges. They are always about groups, not the ‘one hero on a single journey’. Almost all films about families are multiple-protagonist films, because they are emotional sieges. Unsuccessful multiple-protagonist films tend to meander in circles, particularly in an inherently static form like a reunion. In successful multiple-protagonist films, you treat each group of characters as versions of the same protagonist – with a ‘troublemaker’ protagonist at the center causing the story and construct the film accordingly. For example, your characters might be different versions of ‘the radical student ten years on’, or ‘men wanting to put on striptease’. 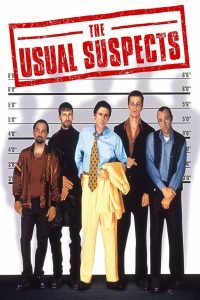 Backstory problems are common in these films because they tend to be about unfinished business and you have literally about thirty small plots or strands to plot and interweave. This form uses two equally important protagonists who journey towards each other emotionally and/or physically. At least three plotlines are required to depict the action of the ‘journey’ and three for the personal relationship issues. This form consists of equally-weighted stories, often in different time frames. The stories are fractured and reconstructed so as to steal jeopardy and suspense from the ending. The astonishing thing about this form is that the second act is often so truncated that it barely exists. The most exciting thing about fractured tandem is that writers can use it to tell or fix certain stories that are exposition-heavy and require a long set up. In 21 Grams, for example, the normality of each of the three protagonists is vitally important to the film’s poignancy, but without hindsight it would simply be exposition. Flash forward gives the audience that much needed hindsight. Conventional screenwriting wisdom says that stories with long set-ups are not suitable for film. I agree – if you use a linear three-act structure – but not if you use fractured tandem. So -am I rejecting the single-hero chronological film? Not at all. The three-act chronological one-hero film is the basis of all parallel narrative. I’m simply saying it is just one kind of structure and we now have templates to create a whole range of other structures, moreover, with practice, we can now create them with reduced risk and within a reasonable timeframe and budget. We no longer have to write them intuitively, which can easily lead us off course. Is this all arthouse? No. The potential these complex forms have for reinventing well-worn genres like the whodunnit, heist stories and action movies is phenomenal. Instead of going mad trying to devise a new story for the same old chronological one hero version of your genre, you have the tools to put together a complex exciting jigsaw puzzle of a movie. People are already doing it and producers are expecting it. And we’re not only talking about movie applications. Excitingly, my templates are applicable to long form TV series, fiction, VR and games. I’m now routinely giving masterclasses to senior TV writers about how they can use nonlinear multiplot content to create binge viewing in long form TV serials, a new headache that the TV boom has created for us. I’m also writing nonlinear multiplot myself in VR films. It’s fascinating to do. And on the practical side, it’s wise to upskill since you might be sidelined. 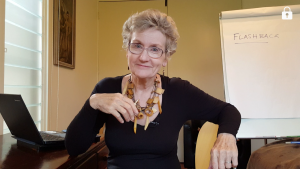 For a quick overview video explaining the six kinds of parallel narrative, see Linda’s video ‘A quick intro to flashback, non-linear and ensemble stories’. For more videos on nonlinear and multiple protagonist forms see Linda’s YouTube channel. 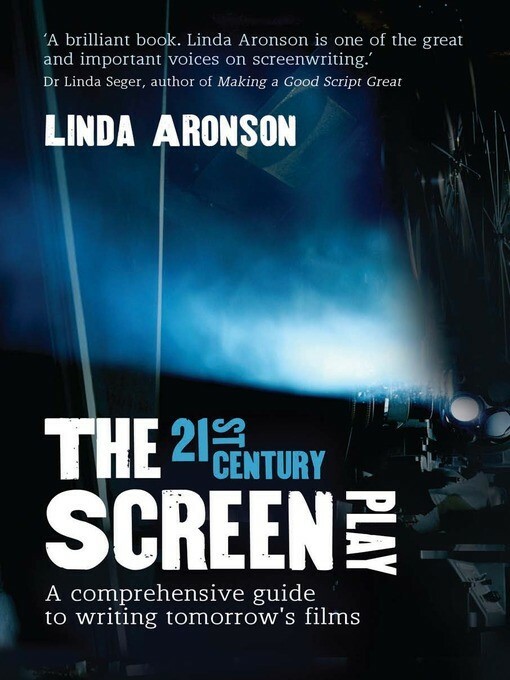 See also www.lindaaronson.com to subscribe for Linda’s free Craft Skills Newsletter and for a range of articles on nonlinear ‘Which structure suits my film’ and much more on how to construct nonlinear and ensemble films. 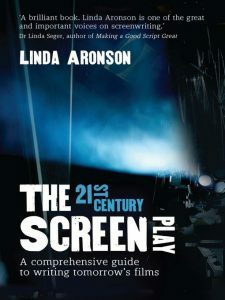 Linda Aronson has awards as a playwright, novelist and scriptwriter and is widely regarded as the leading expert on constructing nonlinear and multiplot scripts. She is currently writing nonlinear multiplot VR films, plus consulting and teaching.